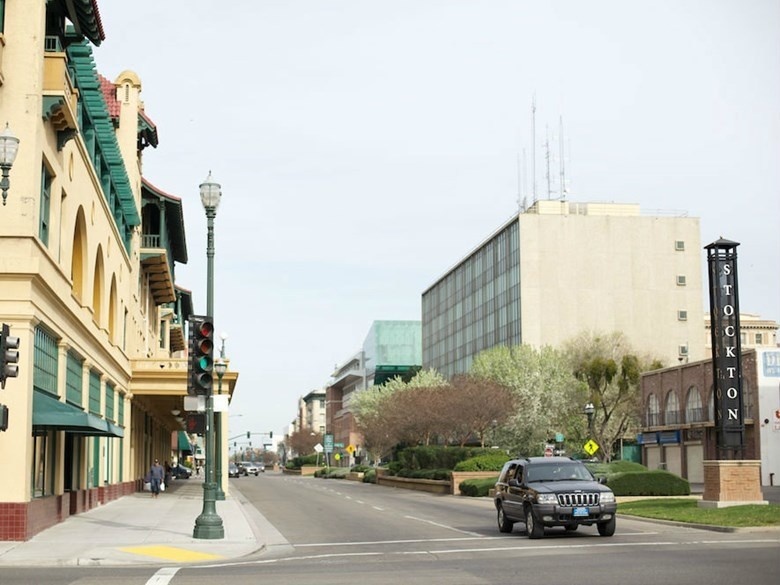 A new economic forecast predicts the Stockton area will see some of Northern California's biggest job growth this year. Jeff Michael heads the Center for Business and Policy Research at the University of the Pacific. He says San Joaquin County saw some of the highest population growth in the last couple of years. As a result he predicts more employment in the region. "People buy things and that creates jobs," explains Michael. "Part of the reason we're seeing population growth pick up in that area is that we've seen migration pick up primarily from the Bay Area." Michael says that includes Silicon Valley which is seeing a slow-down from the incredible growth rates of recent years. The report predicts the Stockton area will see non-farm employment go up by 4 percent this year; for Sacramento it's about 2.5 percent. And California's unemployment rate is projected to stabilize around 5 percent over the next few years. Michael predicts a lot more new housing construction in California too. "We expect to see a significant increase in 2016." He says there were nearly 50,000 single-family housing starts in California last year. Michael projects that'll go up to 66,000 this year and 85,000 in 2017. "A big part of that is what we'll see in inland areas," says Michael. "So we expect new housing construction to double over the next two or three years in San Joaquin County and the Sacramento area." Michael says that's because more people are moving inland from the Bay Area. The forecast predicts about 40,000 new construction jobs in each of the next three years. Thats an opinion of 1 person and god knows based on what? not saying there isn't anything worth it, but then how do you even trust these opinions? Thanks for sharing. I think it makes sense that Stockton population will grow. Interesting to see that there are others think the same. @Chris V. Interesting information; can you include the link to the full article? It seems like there is a Bay Area migration happening here in the Sacramento area as well. Are you feeling that too @Ryan Dixon ? there has been Bay Area migration the last 15 years or more and there will always be Bay Area migration as long as people can sell their homes and pay cash here and have left over money . I found the source in i second by reading the headline mohit. Stockton is changing despite the negative people. We are glad to be here, San Jose was getting to hectic. @Jose Jimenez how is Tracy for investments? Interesting article. Wow. How far will Bay Areans migrate out? The traffic and BART is already so cluttered. Interested to see what this means in terms of transit. Jose Jimenez how is Tracy for investments? Great share @Chris V. ! "John Solis, director of the San Joaquin Employment and Economic Development Department, said his department is working to ensure many residents stay employed, or find new positions for job seekers. Last year, his department hosted 84 job and resource fairs in an effort to find work for some 31,000 residents. Of those events six were job fairs featuring major employers throughout the county, while 78 were resource fairs assisting job seekers in finding work. The department has also helped find jobs for 2,575 teens in San Joaquin County as well, he said. In an effort to make sure their clients stay employed, Solis said the department is launching a layoff aversion strategy program that will match job seekers with employers that fit their skill sets." To further back this up, Business Insider mentions Stockton CA in the top ten metros for job growth. It also made the list of Realtor.com's list of Top 20 Hot Markets. San Joaquin County also just beat it's own record in voter registrations with 310,000. I'd say those statistics make Stockton a great place to look for investment property.